Here’s something to put in your itinerary the next time you visit Milan: Starbucks. 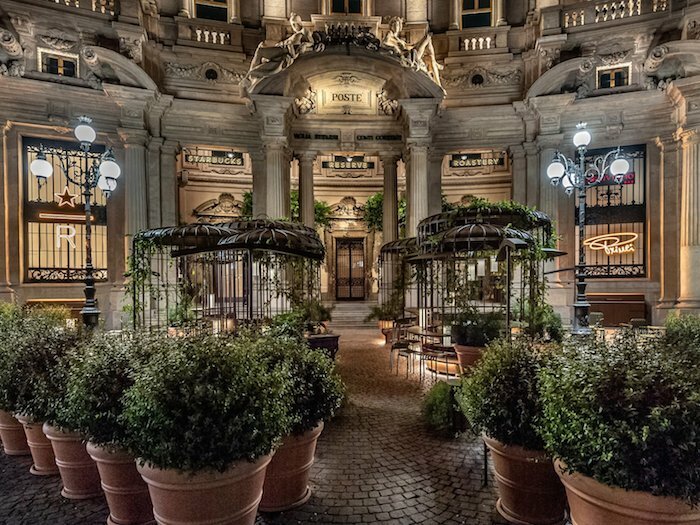 Not only because it’s the first ever Starbucks outlet in Italy, it is also probably the most beautiful one you’d have seen. 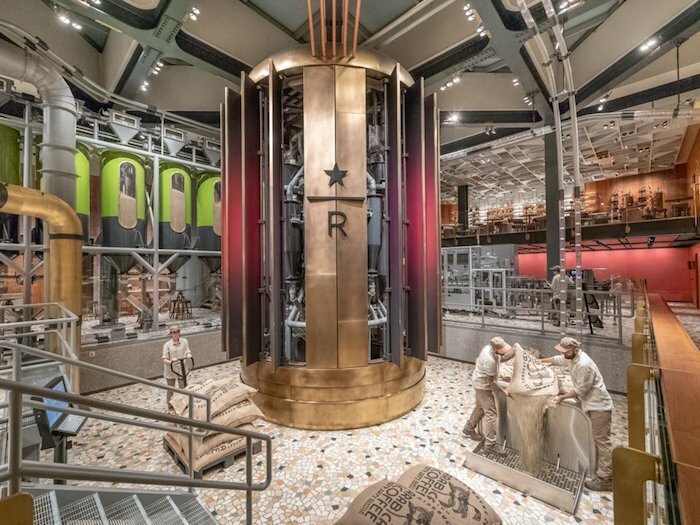 The 2,300-sqm Starbucks Reserve Roastery Milan is located at Piazza Cordusio, and the store pays homage to the rich Italian coffee culture by offering an immersive coffee experience to customers. 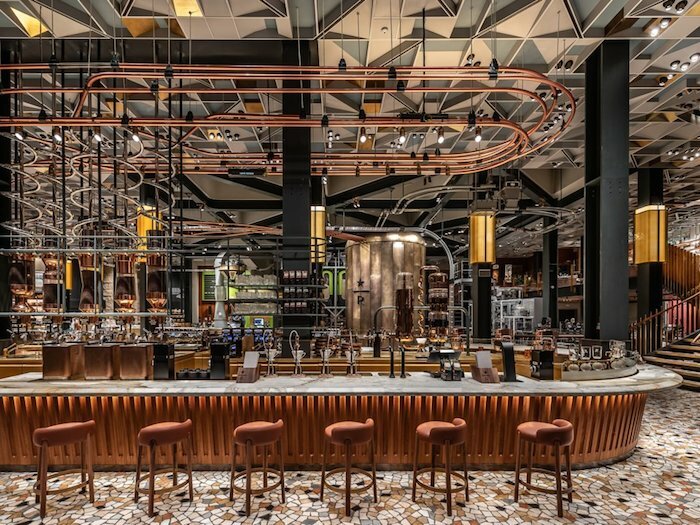 Besides what you’ll usually get in a regular Starbucks cafe, the Reserve Roastery Milan will also be home to a fully-functioning Scolari coffee roaster, a first-of-its-kind Milanese bronze unfolding cask, a wood-fronted main bar featuring Italian fluting and Tuscany-source marble, and an Arriviamo Bar serving cocktails and food. You also can look forward to Starbucks’ first-ever affogato station, which serves made-to-order single-batch ice-cream. Thanks to a strategic partnership that Starbucks have with Italian baker Rocco Princi, artisanal baked food by Princi will also be available at the Milan store. The Princi Bakery in the Milan Roastery uses a wood-fired oven made using an ancient technique, with a unique method of radiating heat using fire, creating Rocco Princi’s ultimate tool for making bread the way it’s meant to be done. You’ll be able to watch the process of bread-making in the store too. 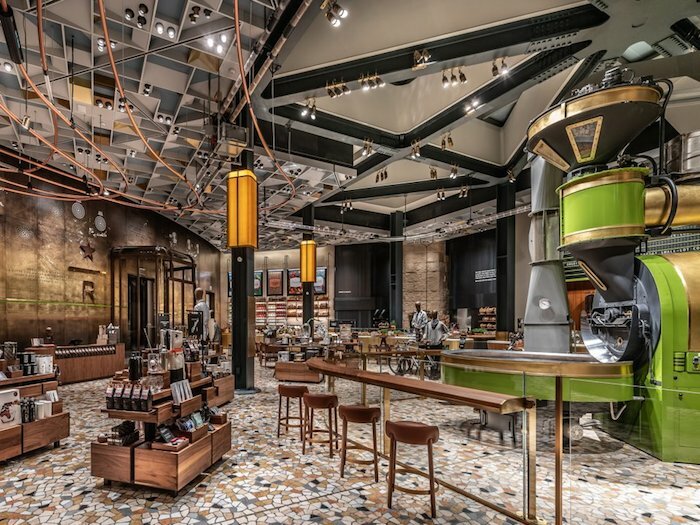 Starbucks Reserve Roastery Milan is located at Piazza Cordusio 3, Milan, MI 20123. It opens daily from 7am to 10pm.